Yesterday, OnLive said in its Sega classic games Week #3 Poll on OnLive's Facebook page that any game receiving at least 100 votes by 3:00pm PDT will be released that night. Three games made it over 100 votes and were released to the OnLive PlayPack. The games are Sonic the Hedgehog (466 votes), Golden Axe II (137 votes) and Virtua Fighter 2 (116 votes). The other SEGA Genesis (Mega Drive) classic games will be released in the order voted by gamers over this week. The addition of these three games brings the OnLive PlayPack to 180 games and counting. Golden Axe II is a side-scrolling beat'em up game classic published and developed by SEGA. 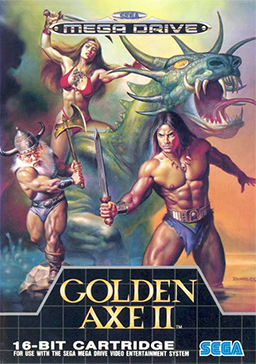 It's the sequel to the popular Golden Axe, which is already part of the OnLive PlayPack. Once again, three brave warriors stand up to face the oppressors. One is Ax-Battler, the fierce barbarian; the second is Tyris-Flare, the ferocious Amazon; and the third is Gilius Thunderhead, the fearless dwarf. They won't rest until the Golden Axe is returned to its rightful place. You can play the free demo of Golden Axe II for the US powered by OnLive. You can play the free demo of Golden Axe II for the UK powered by OnLive. Sonic the Hedgehog is a sidescrolling platform video game classic published by SEGA and the first title developed by SEGA's Sonic Team. 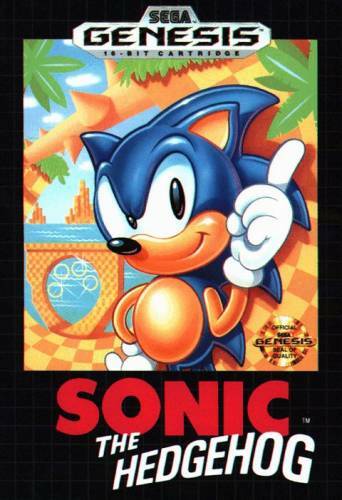 It is the first installment in SEGA's flagship Sonic the Hedgehog series. The game was released in 1991 in North America, Europe, and Japan. It was an enormous critical and commercial success for SEGA, creating a popular, multiple decade franchise, and propelling the SEGA Genesis (Mega Drive) to widespread popularity. The evil scientist Dr. Eggman (aka Dr. Robotnik) has snatched the poor animals of South Island and turned them into robots. Only one hero can defeat Dr. Eggman and rescue the animals from his vile clutches - it's the super-cool hedgehog with the blue spiky hair, Sonic! You can play the free demo of Sonic the Hedgehog for the US powered by OnLive. You can play the free demo of Sonic the Hedgehog for the UK powered by OnLive. Virtua Fighter 2 is a 2D fighting game classic published and developed by SEGA. Now the call has come for the second World Fighting Tournament. Take to the stage to see who will claim the championship title. Who will emerge victorious this time? Will it be Akira Yuki, Pai Chan, Lau Chan, Wolf Hawkfield, Jeffry McWild, Kage-Maru, Sarah Bryant, or Jacky Bryant? The answer lies within. Immerse yourself in this technically challenging game and see if you have what it takes to be the champion of the second World Fighting Tournament! You can play the free demo of Virtua Fighter 2 for the US powered by OnLive. You can play the free demo of Virtua Fighter 2 for the UK powered by OnLive.